First race of the year = rustbuster workout. 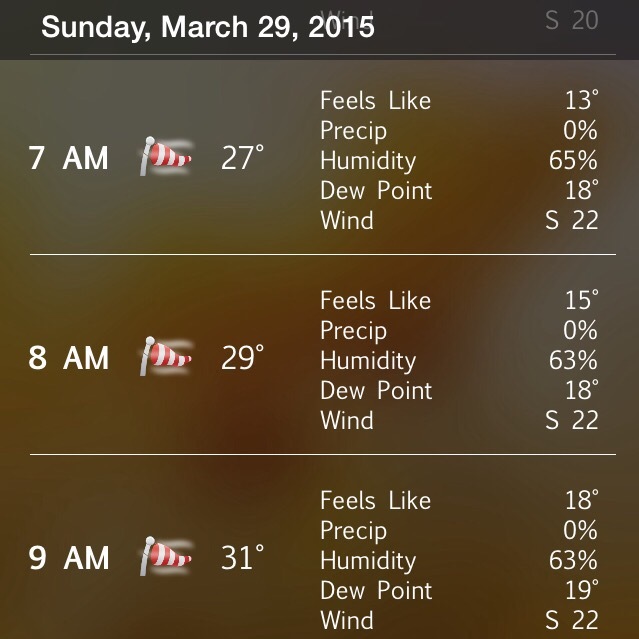 Once you see that wind icon (especially in Chicago) you know it’s going to be a doozy. I met Corey and Chanthana at 7:30 AM so we could each do a quick warm-up before walking over to gear check and changing into racing shoes. CT was generous & offered to watch our bags while Corey and I ran a 20-minute warm-up a few times around the block. We knew there was a headwind from the south but we realized during the warm-up that there was also a crazy wind swirling from the west. Running north was effortless with a strong tailwind, at least! I felt congested during our warm-up and the cold wind wasn’t making breathing any easier. As usual, despite thinking that we would have enough time to relax, get to gear check, do a few strides, and get into the corral in time, we were rushed to get there! 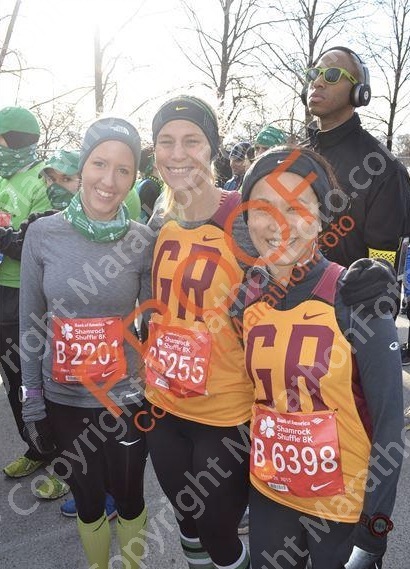 Corey, CT, and I huddled together in the corral to try to stay warm before the start. 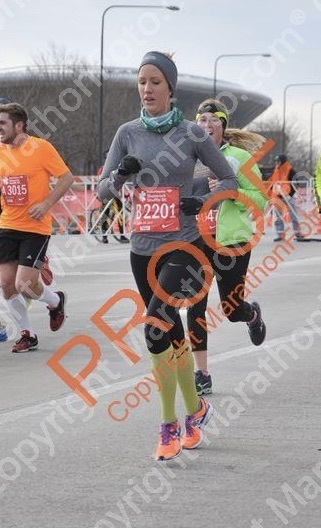 Mile 2- Running south on State St. was surprisingly not against a strong headwind. 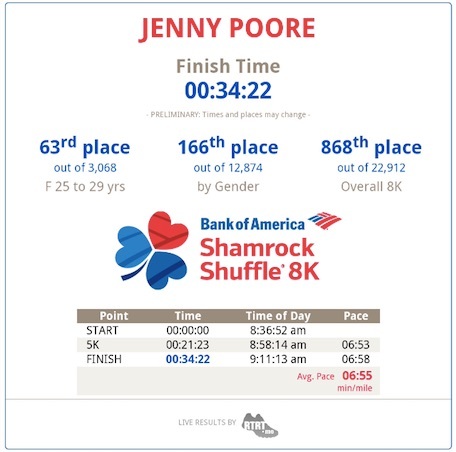 I was still fighting to pass people (and trying not to elbow people in the process) but found more of a groove in this mile. Split 6:45 – “ok, closer to goal pace at least”. Mile 3- By the time I got to mile 3.5, my breathing was really labored. Despite feeling calm and controlled until that point, a lot of congestion was building. Breathing through my nose was basically impossible and the cold headwind went straight to the back of my throat. Derp. Still, I tried to push the pace and clocked a 6:42 here. 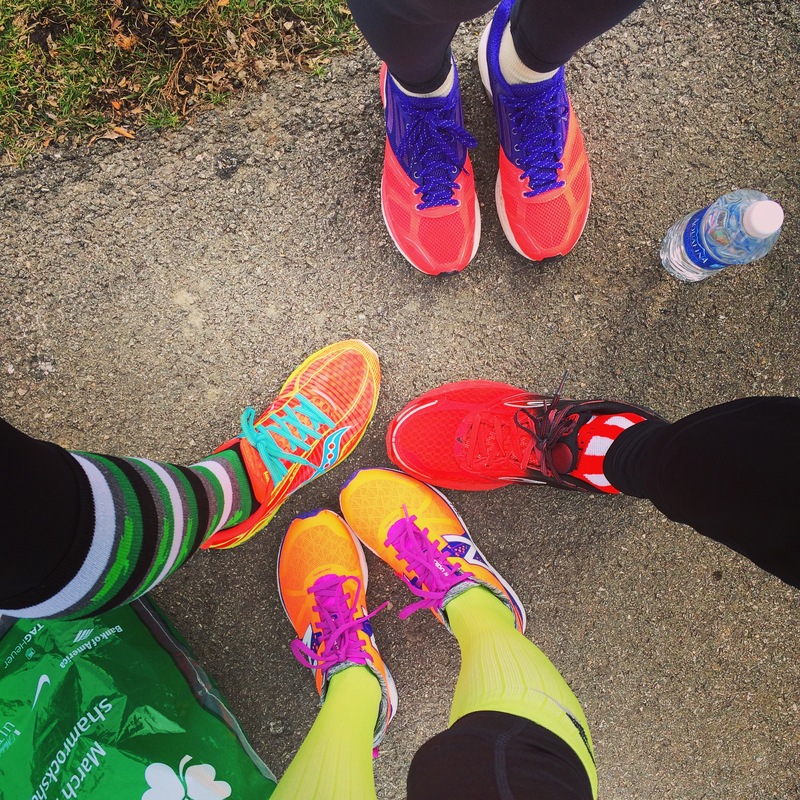 Mile 5 – Just tried to pull it together. Once we made the turn back south on Michigan, my lungs and legs were burning. The headwind was still strong here and I had to stop to blow a snot rocket. 🙂 Everything was backed up and I just wanted to be done. After the left turn to the finish, I tried to kick it in a bit but not sure if that was all in my head. Split: 6:51. All in all, these were pretty crazy conditions for the first ‘spring’ race of the year. 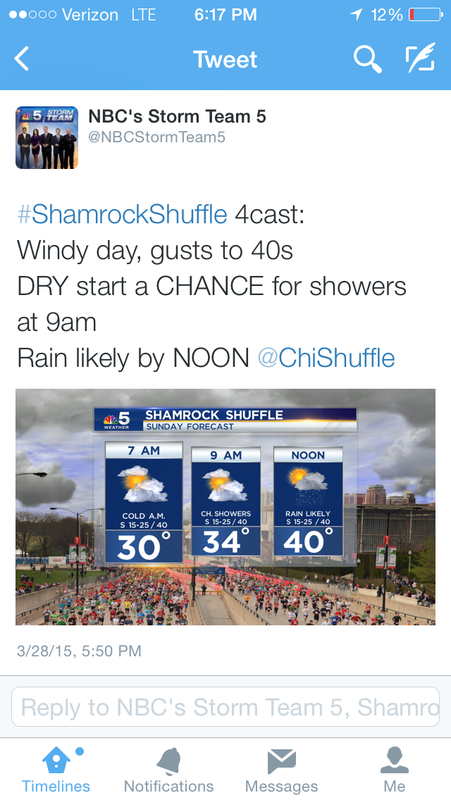 I’ve only run the Shuffle one other time and that was 4 years ago when it was 75 degrees and sunny. This year, the weather turned the opposite direction. The effort was there on race day but the goal pace wasn’t. My legs felt good and my form felt strong, but the wind and my congestion made racing difficult. I’ll consider this a good rustbuster (and my first 5 mi tempo of this training cycle) and hope for real spring temps to arrive soon. My next race is the Cherry Blossom 10 Miler on April 12! I’ve heard so many good things about this race and I’m looking forward to putting in another solid effort before Bayshore at the end of May. Congrats on a great back-out-there race. Running fast with a cold is always a struggle because it seems every sniffle and headache is amplified each mile. The good news is hopefully thats out of your system so that you can have an amazing Cherry Blossom race. I wish I was closer to DC so I could come spectate. Enjoy!! Strong effort despite the congestion and the wind! Congrats. First race is always tough! But you survived and conquered the wind, so that’s good. Hopefully your next race will have better weather. Well done on overcoming those winds. I love this race and have run it the last 8 years – probably because it’s an abbreviated Chicago Marathon and it’s walking distance from where I live. And of the many people I know who ran it, only one person sped up from 5k to the finish. Those winds were truly devastating for our paces. Welcome to the racing season! Awesome race!! That wind makes me cold just thinking about it!!! Let alone running against!! !